Mt. 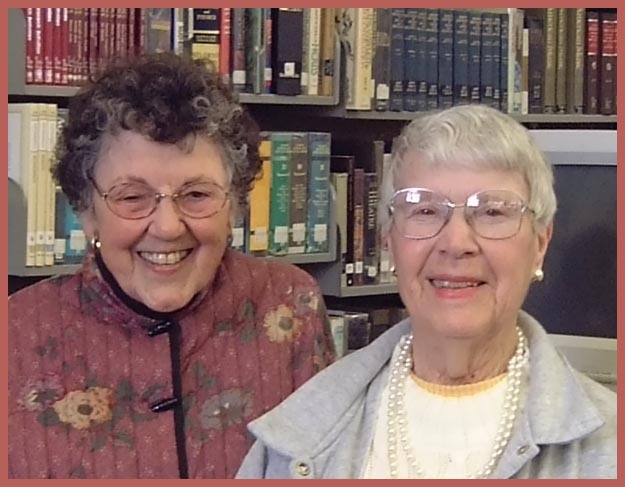 Diablo High School's Ethel Brubaker Library received a donation of $500 on Friday, February 16. The money was donated by two alumnae, Mary Bidinost and Gertrude Bruce, who graduated from MDHS in 1932. Bidinost and Bruce organized many high school reunions for alumni who graduated from MD in the 1930's and 1940's. After 15 - 20 reunions, the reunion committee is retiring. Through the years, the reunion funds grew and the reunion committee has donated this money to the school library to buy new reference books. "They're really thoughtful," said Mrs. Irene Keenan, MDHS librarian.